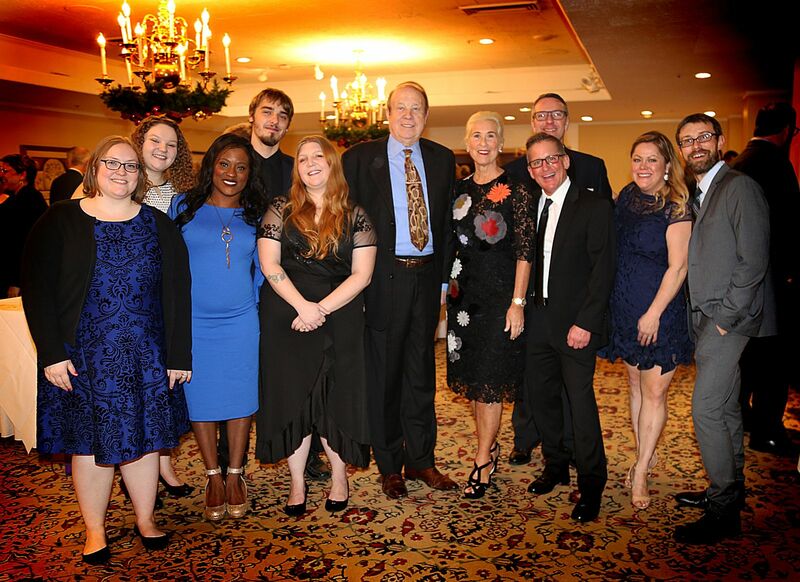 “Savor the Magic” Raises Funds for Local Children’s Theater | Hupy and Abraham, S.C.
On November 10, 2018, First Stage held the 9th Annual Wine Tasting and Dinner event at the University Club of Milwaukee. As a sponsor of the event, firm president Attorney Michael Hupy attended along with his wife, Suzanne, and other Hupy and Abraham employees. The wine was flowing for the intimate funding event, where proceeds went to future First Stage programming and efforts. Throughout the evening, attendees were served a five-course meal with appropriate wine pairings, while a brief presentation about First Stage was given. Following both a silent and live auction was a vocal performance by Reese Parish, a young actress that portrayed Dorothy in First Stage’s most recent adaption of The Wiz. Over $80,000 was raised to further the organization’s mission. Since 1987, First Stage has grown into one of the most acclaimed children’s theaters in the United States and the second largest theater company in Milwaukee. First Stage strives to touch hearts and transform lives through theater productions that engage, enlighten and entertain. As Wisconsin’s leader in arts-in-education programming, First Stage’s programs promote active learning in local schools and the community and serve over 20,000 children each year. Hupy and Abraham has supported First Stage over the years through regular donations to its Annual Campaign and supporting the Make Believe Ball event.